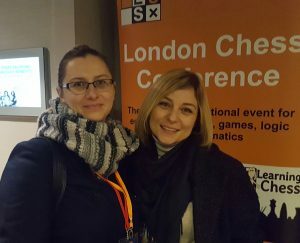 The fifth London Chess Conference brought together 80 people from 23 countries at the Hilton London Olympia on 2-3rd December 2017. 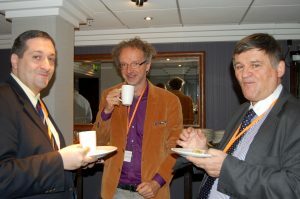 The theme of the conference was Scholastic Chess. 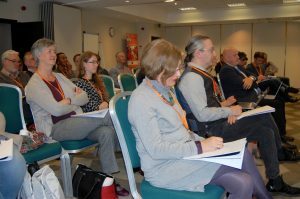 Twenty presentations are available for download in PDF. 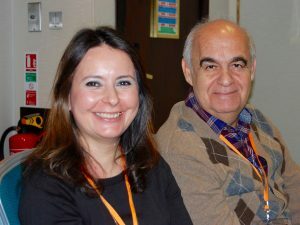 The talks were of high quality with new ideas for teaching chess. Video segments from all plenary presenters are available here thanks to Karel van Delft. 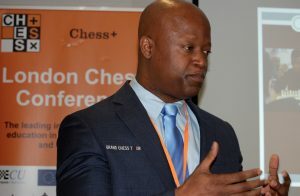 This includes talks by Maurice Ashley (pictured above), Fernand Gobet, William Bart, Brian Kisida, Mads Jacobsen, Leontxo Garcia, Jesper Hall, Jakob Rathlev, Reinaldo Golmia Dante and Sunil Weeramantry. It was a truly international event. Only a third of the attendees were from the UK. The countries represented in alphabetical order were Belorussia, Belgium, Brazil, Canada, Denmark, Finland, Germany, Hungary, India, Italy, Iran, Netherlands, Norway, Poland, Portugal, Slovakia, South Africa, Spain, Sweden, Switzerland, Turkey, UK and the USA. 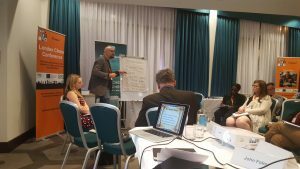 There were 25 sessions over 12 hours of programme activity including plenary keynotes and talks, simultaneous debates, parallel workshops and a round table. The event was co-sponsored by the ECU Education Commission, whose Scientific Advisory Board met there for the first time. New international projects were discussed and cooperations started. 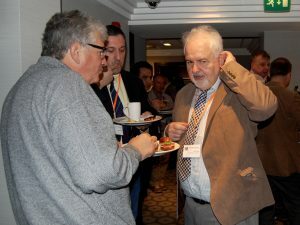 There were plenty of opportunities for networking. Video interviews are available thanks to Dan Staples from co-sponsor CSC who spoke to Chris Fegan, Sarah Kett, Ebenezer Joseph, William Bart and Tal Granite. Of the attendees, 28% were female. There were a dozen chess tutors, nine international masters and two grandmasters. Eight professors, six other researchers and eight headteachers resp. teachers took part. The ECU Education Commission announced the launch of the ECU Certificate for school chess teachers to recognise their professional attainment. 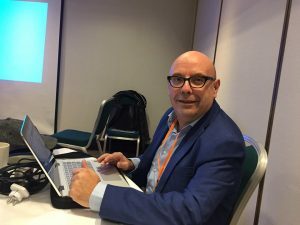 The Slovak Chess Federation announced the start of the Erasmus Plus funded CHAMPS project – Chess and Mathematics in Primary Schools. 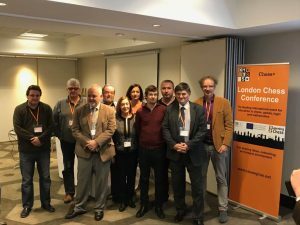 Its partners, pictured above, include CSC from the UK, Ludus from Portugal, and the University of Girona in Spain.